I am a recent graduate of The College of William and Mary. While studying there, I received my Master's in Secondary English Education. I will be teaching sixth-grade English this year and I couldn't be more excited about it! I am a new middle school teacher for sixth-grade English. I recently graduated from William and Mary's School of Education with my Master's in Secondary English. 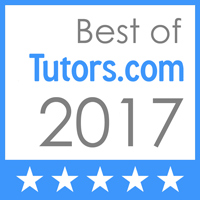 I have been an online tutor, a swim coach, a student teacher, and a college tutor for Russian and English.